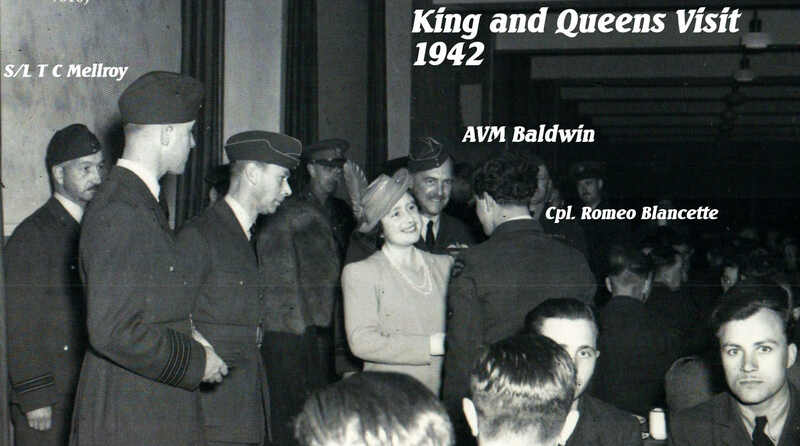 On June 25th, 1942 King George VI and the Queen visited Mildenhall they were there to talk to the men who had taken part in the 1,000 bomber raid. 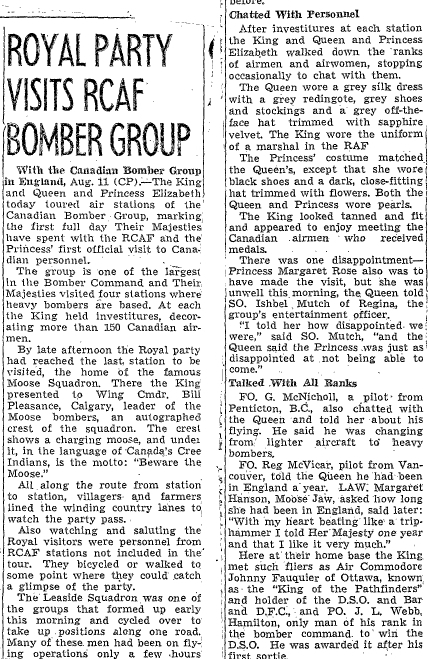 Which included airmen from the Moose squadron. 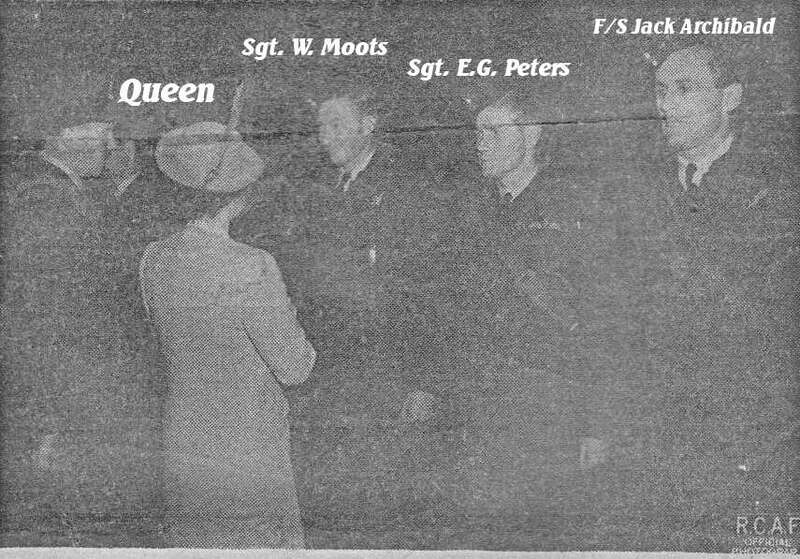 In the first photo the King is shown with then P/O Jost, later to be S/L Bert Jost, P/O Harry Thompson and P/O Raine. 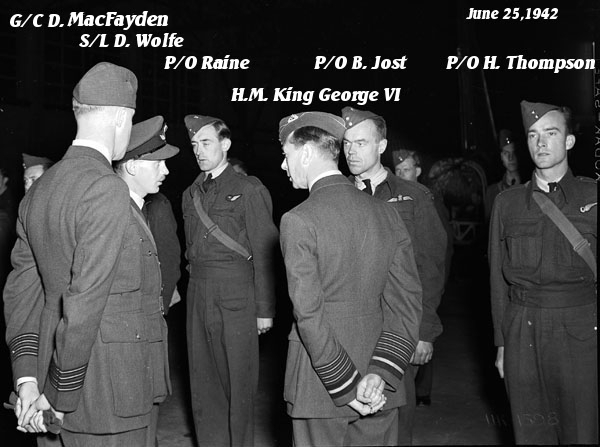 It is reported that their Majesties were "agreeably surprised that the squadron contained so many R.C.A.F personnel. S/L Jost was lost on June 25th, 1943 aboard JD147. 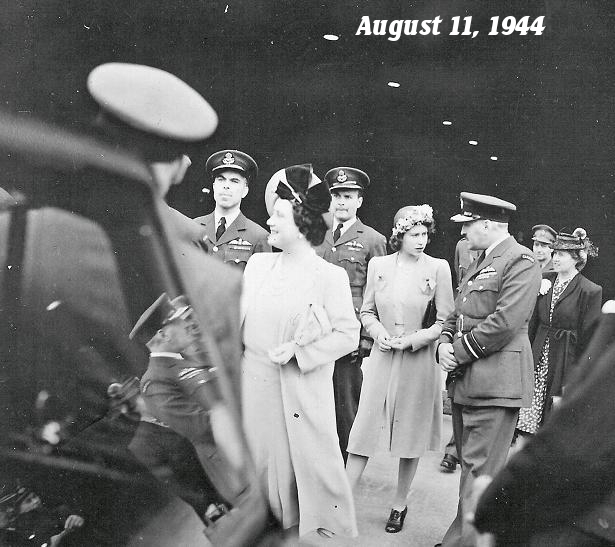 The King and Queen along with Princess Elizabeth again paid a visit to 419 squadron on August 11, 1944. 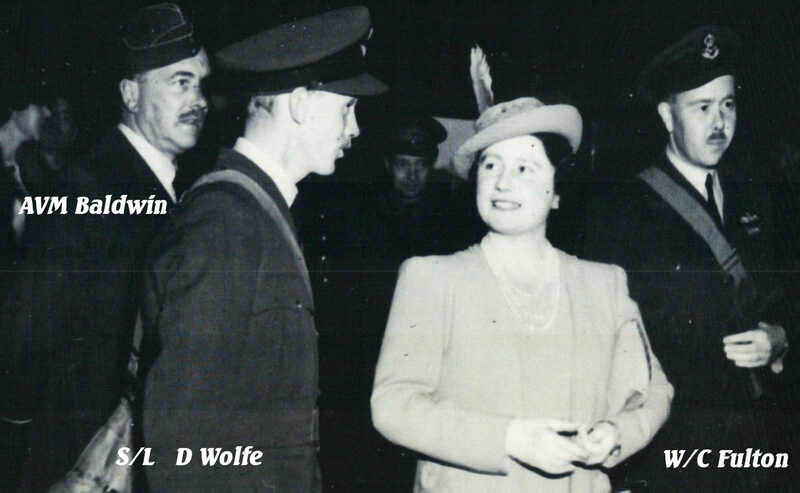 King George presented the Distinguished Flying Medal to P/O Fraser. The DFM is presented for an act or acts of valour, courage or devotion to duty while flying in operations against the enemy It is awarded to non-commissioned officers. 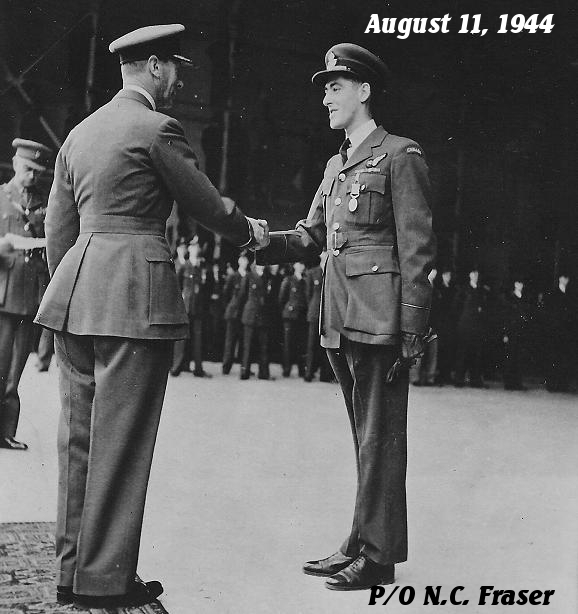 P/O Fraser was a sergeant when he was selected to be awarded the medal. 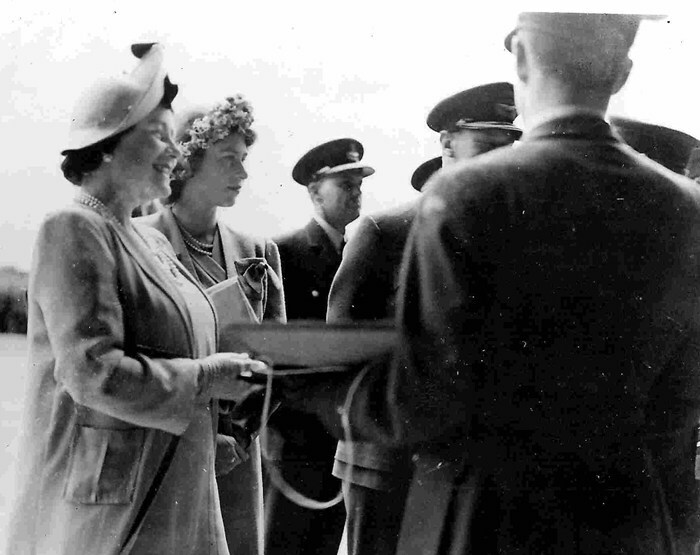 King George VI along with Queen Elizabeth and Princess Elizabeth at the Investiture Ceremony presented DFC awards and DFM awards to members of 419 squadron. A point of interest was the decoration of Lt. Joseph Hartshorn USAAF, personally by the King. 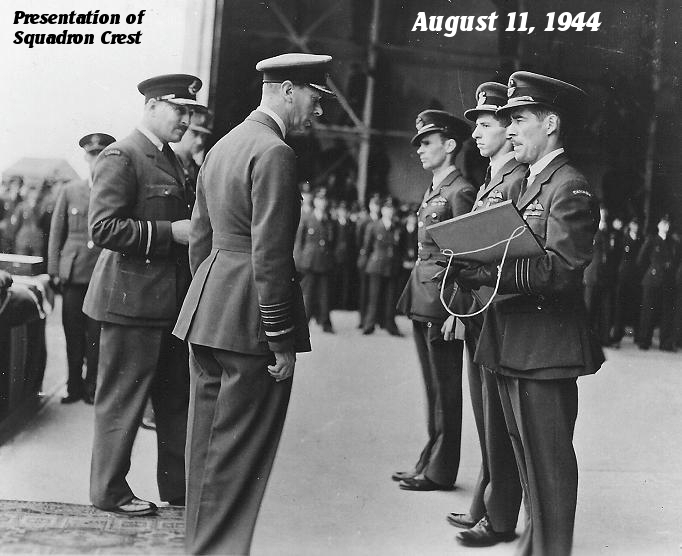 It may have been the only time an American was directly decorated with a DFC by the King. With our Thanks to K. Wand for her help in the research.